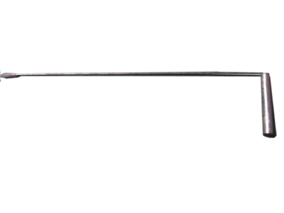 We sell bundles of 10 6m poles for £120 plus delivery at cost – contact us for current rates. Please note: although poles are packed to minimise any chance of damage we cannot be held responsible for any breakages that occur in transit. It’s a good idea to order a few spares to cover the eventuality of a couple of split poles. Bamboo poles are a magnificent example of mother nature’s design skills. The combination of lightness, strength and flexibility inherent in their structure is quite remarkable. However, once they have been cut they need to be stored carefully. Storage in direct sunlight is the worst problem. The air inside the chambers heats up rapidly and can expand bursting the chambers and causing splits. If transporting the poles on a long journey on a roof rack, on a hot day, it may be worth covering the poles with a light coloured tarp. Always get the poles off the roof and under the vehicle at the earliest opportunity. The ends are particularly prone to crushing and should be taped smoothly with gaffer tape or, better still, a gloss finish, heat-shrink plastic, if you’re lucky a film container fits perfectly and is unbeatable protection. We can supply 3ft galvanised steel sleeves for rigging the flags for £9.50 each. These need to be knocked 18″ into the ground, ideally with a post hammer with a wooden insert. We use a 6” length sawn from a suitable diameter oak branch and trimmed to a snug fit. A second 6” length may be useful to knock the sleeve deeper into soft ground. These let banners flags fly in low wind conditions. They are made from galvanised steel and cost £14.50 each. It is essential that that the steel tip is “softened” with a few inches of moderately flexible tubing to prevent damage to the flag – festival bar offcuts are an excellent free source of this tube. de-rigging and upkeep of flags and poles is a bit more work than it first appears. 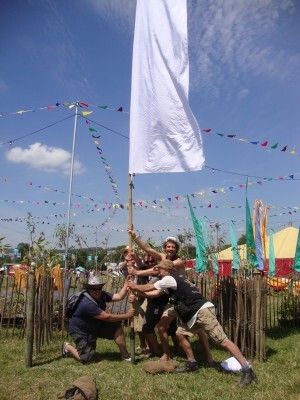 We then clean, repair and store the flags ready for the next event. We have an amiable, hardworking crew, who bring various additional talents and performance skills with them. Once we get to know your event we can offer all kinds of other delightful, functional décor items as an all-in package. 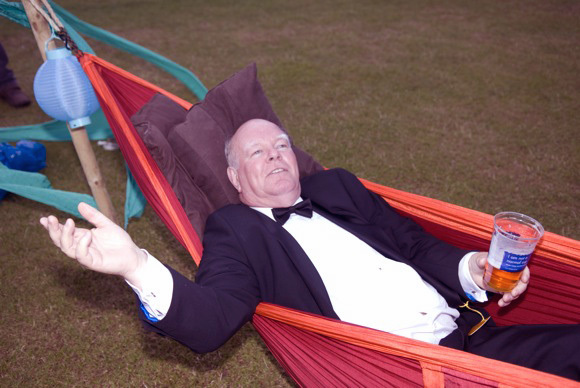 Less hassle… more hammock time!